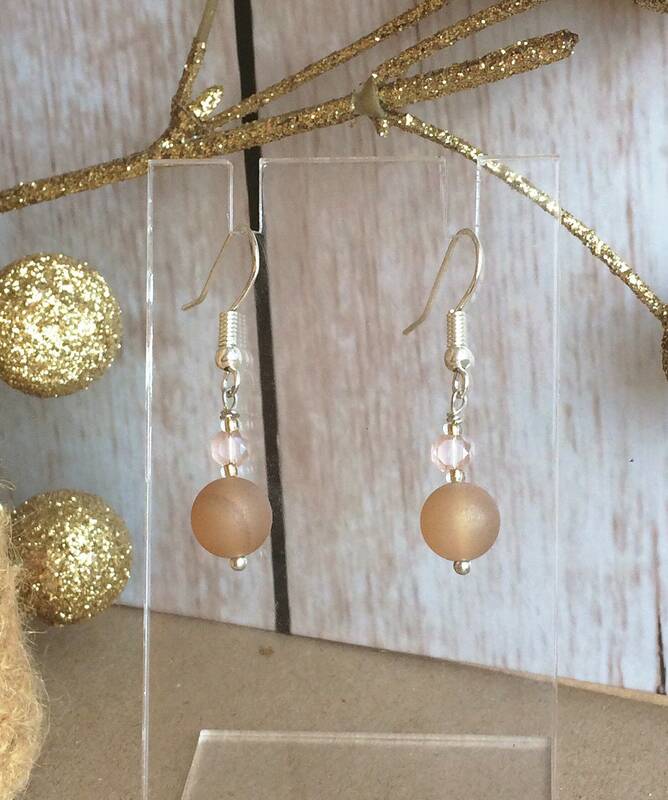 A choice of two colour finishes (rose gold or silver) in earrings featuring beautiful peach agate beads. 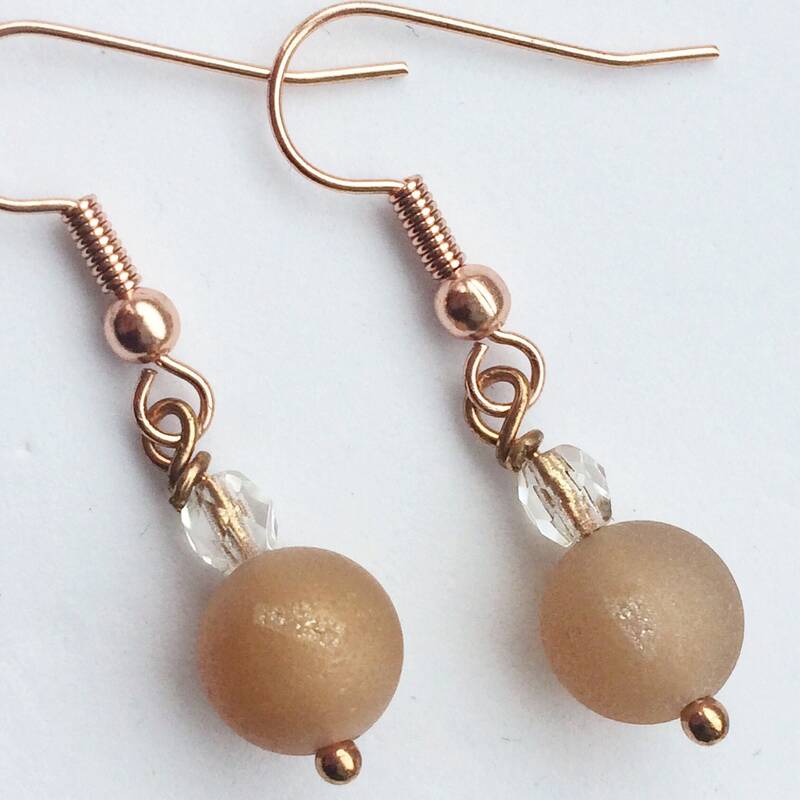 These are 6mm large spherical beads in a peach colour with a spectacular delicate shimmer and crystal geode detail (more apparent in the rose gold pair). 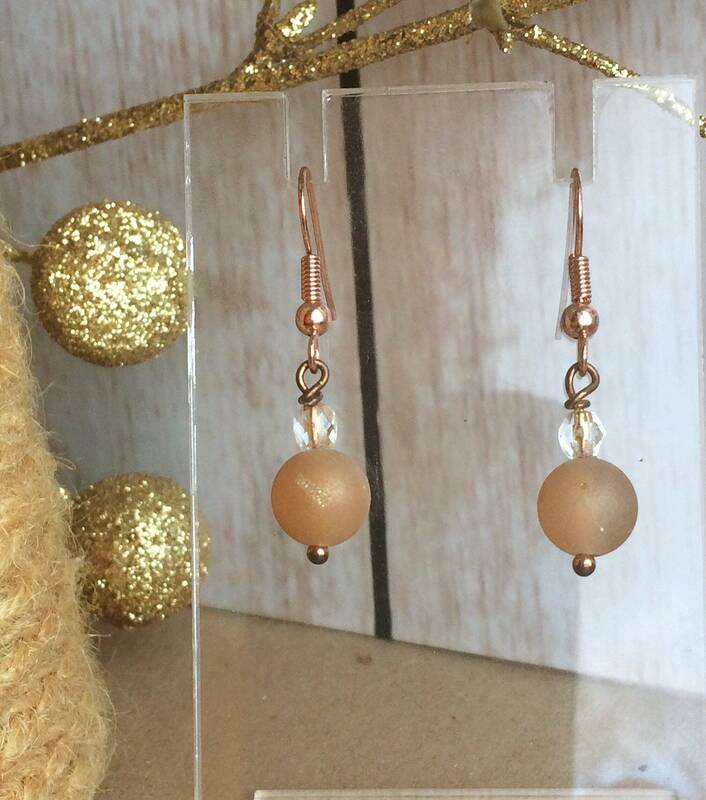 I made these in a simple colour scheme and design but still with a touch of sparkle for a elegant wedding/occasion look. 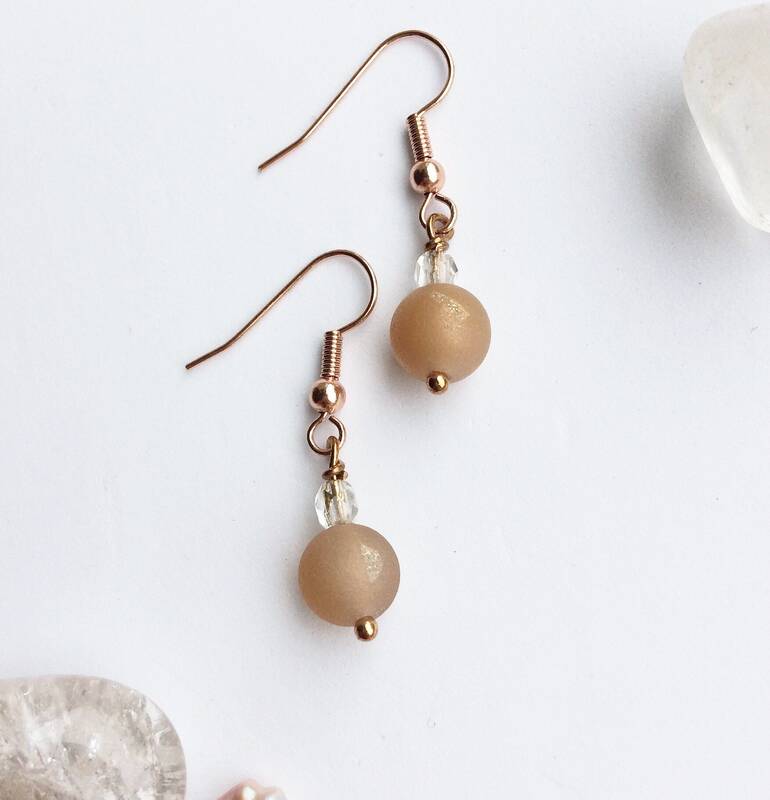 The rose gold pair have a 18mm long ear wire with a clear 4mm pressed glass bead with gold foil detail to match the agate bead. Drop length is 1.8cm. 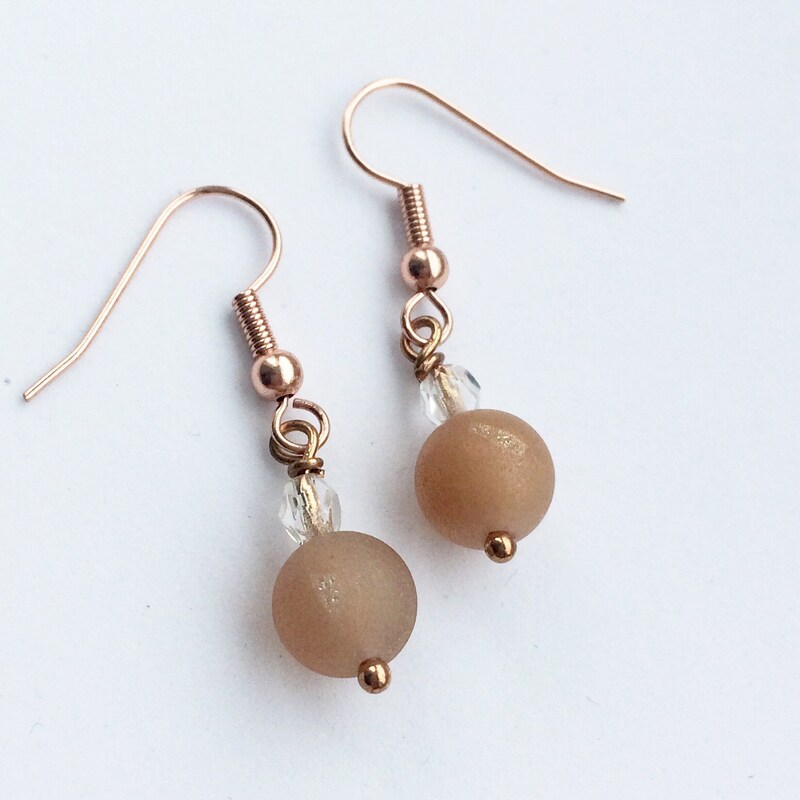 The other pair have sterling silver ear wires (19mm) and a 4mm faceted pastel pink pressed glass bread to compliment the agate, plus a tiny clear seed beed with gold detail. Drop length is 2cm. I am happy to accommodate special requests or multiple designs e.g. for bridesmaids. Just send me a message and I'm happy to help.